Shanghai is planning to take the lead in information infrastructure construction by creating a dual-gigaband city, according to the Shanghai Municipal Commission of Economy and Informatization. The city will cooperate with China's three major telecommunication service providers China Mobile, China Unicom and China Telecom to build itself into a dual-gigaband city boasting both the coverage of a 5G mobile network and a gigabit broadband network. 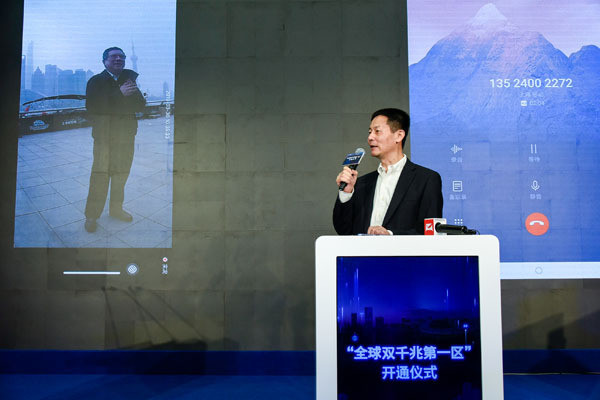 During a kickoff ceremony in the city's Hongkou district on March 30, Shanghai Vice-Mayor Wu Qing made the world's first 5G video call in a trial run of the new network, making Shanghai China's first pilot city for 5G application backed by China Mobile. The science and technology commission of Hongkou district also signed an agreement on April 4 with China Telecom Shanghai branch to facilitate the construction of what it says is the world's first dual-gigaband district. China Telecom Shanghai branch announced in a press conference on March 26 that it plans to launch the world's first batch of demonstration areas with gigabit network speeds on both mobile and fixed networks in Shanghai to aid in the construction of a dual-gigaband city. 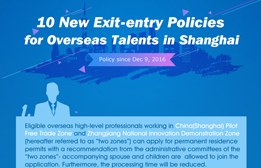 The demonstration areas include Lingang Industrial Park, Yueyang Hospital and the Shanghai Stock Exchange.